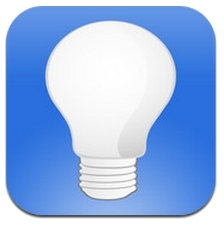 Idea Sketch - All about apps in YOUR classroom! Idea Sketch is a concept-mapping app that allows you to capture ideas and organize them into diagrams such as mind maps, concept maps or flow charts. No drawing required, just enter your text and move the shapes around. You can create a map with straight lines, curved lines, or right angles connecting lines with or without directional arrows. You also have the option to switch from map display to outline format. A great feature of Idea Sketch is its ability to copy text from another app and import it into Idea Sketch to create an idea that can be viewed both as a diagram or outline. Students can copy and import text from various documents into Idea Sketch to create an idea that can be displayed as a diagram or outline. Diagrams or outlines can be easily saved into Photos or shared via E-mail or Dropbox.